The fastest-growing segment of the home furnishings industry is all about extending your living space outdoors. Why does this matter to you? Because it’s also trending in home staging. Aside from providing additional room you wouldn’t otherwise have, staging is about helping buyers envision a lifestyle. Many great memories are created outside; kids playing, family barbeques, parties, etc. 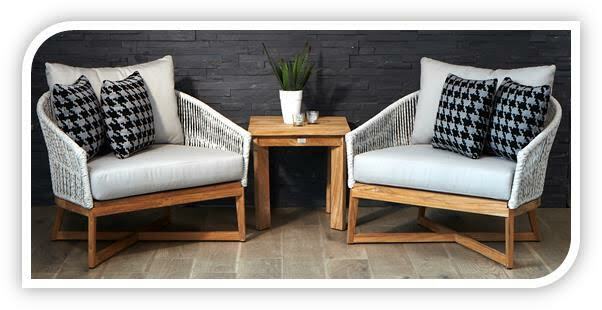 Even a simple two-seated set can create a feeling of warmth and atmosphere. Add some fake inexpensive succulents- amazing how real they can look on an outdoor patio. Adding light-lanterns or string-lighting is popular now because we do want to stay outside even at night. Make sure the bulbs are all working and the string lights are not just hanging loosely and looking neglected from being left out over the winter months. If the backyard is spectacular and has fun lighting, consider taking an evening outdoor picture for your marketing material. Bring the indoor colors outside to extend the feeling of the rooms. Making an outside appear to be seamless with the indoors can be done by bringing in some pillows or pots in the same color family used indoors.